P. Helvius Pertinax was born at Alba Pompeja in 126 AD, the son of a timber-merchant. He was married to Titiana who bore him a son, Helvius Pertinax, Junior. Pertinax had a successful military career and achieved senatorial rank until, at the death of Commodus, he was Prefect of the City of Rome. Pertinax reluctantly accepted the throne when it was offered him by the murderers of Commodus. 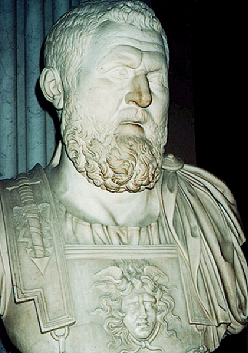 The state of affairs in Rome were deplorable and Pertinax instituted economic reforms, which immediately made him unpopular particularly with the Praetorian Guard. Like any public employee who faces a cut in pay, the mood was not festive. On March 28th, after a reign of only 86 days, a band of mutinous Praetorian Guards invaded the palace and murdered Pertinax. The fate of his wife is unknown, but his son managed to survive. When Septimius Severus came to the throne, he ordered his troops to murder all the Praetorians that had anything to do with the murder of Pertinax. Those who were not directly involved, were dismissed and told to stay more than 200 miles away from Rome or suffer the same fate. 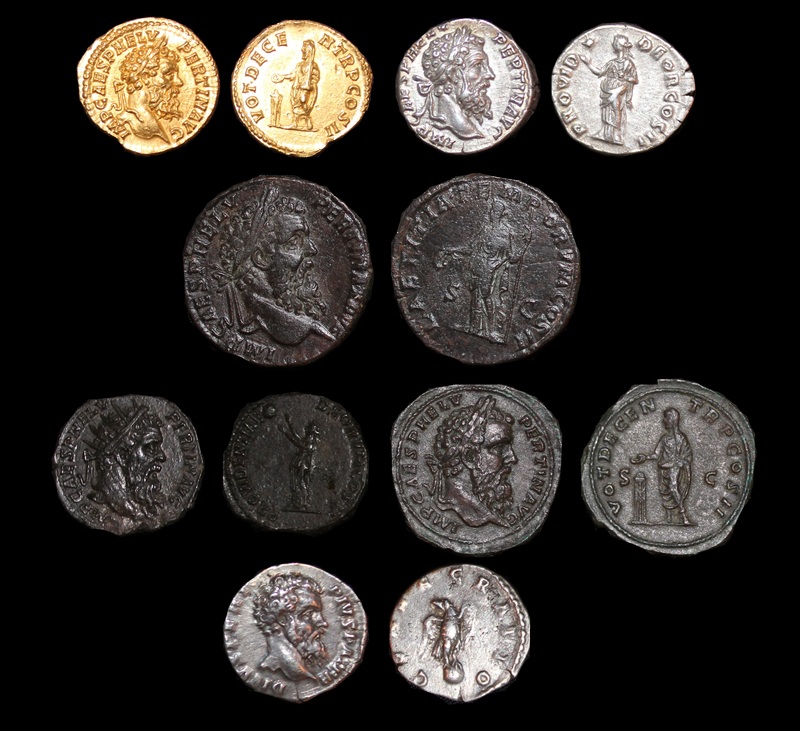 Septimius also issued a series of posthumous coinage in honor of Pertinax.